Great job, right on time. Repairman Dave was awesome! On time, work and explanation excellent! Prompt, polite & performed a thorough check of the refrigerator. 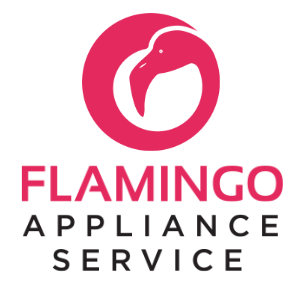 Flamingo Appliance Service was great, the technician arrived as scheduled and knowledgeable of appliance. The microwave exhaust fan is not adequate in removing cooking seam and orders. The exterior vent and damper are open. The technician said there was nothing he could do, the microwave working as designed. Excellent communication and customer service skill set. I hope all your service reps are this competent and caring. One of the repairmen knew the way the appliance parts should fit together . Thus he figured out that the cause of food freezing in the new refrigerator was a broken ice maker bin, so we did not have to buy a new thermostat after all. Knows his job and the equipment he was working on. Mr Irme was prompt, efficient, and highly skilled. He also offered advice for the concerns I had about the air flow and improved use of the dryer. I really appreciate the work of your Technician, and would recommend him to any of my friends! Service was prompt and efficient. Very pleased with everything. Fast, prompt, courteous service. Cory was a pleasure to work will. Had warranty work done. Called when they said they would and came when they said they would! Cory Fox was an excellent technician on this service call. He knew exactly the problem after a brief description from me.His product knowledge of Kitchen Aid refrig. was amazing.Product was a warranty cost. No idea of cost amount. Excellent service. Technician very knowledgable. Late on Friday, our oven that totally stopped working. Booked service online for the next day. David Imre showed up on late Saturday afternoon, diagnosed the problem (blown internal fuse) and came the following week to install the part (which he did not have with him). David is also a pleasure to work with. DISHWASHER WHIRLPOOL WDT750SAHZ0 Replaced damaged CONSOLE. DISHWASHER WHIRLPOOL KUDS35FXSS3 Inspectd unit replaced units burned wiring and control with fuse and now unit checks ok unit is washing and draining and is safe to use. unit checks ok now. RANGE JENN-AIR JES1450DS0 Hinges are not closing tight. Replaced defective hinges and burned console with trim. GRILL KITCHENAID KBAD271SSS0 Inspected unit found units hose connected to the gas was in incorrectly had to de install and re install and now unit lights and checks ok.
WASHER WHIRLPOOL NTW4516FW3 "Start and test all cycles of washer. Inspect water valve , hoses and tub for leaks. I could not find any evidents of water leakage from the washer." REFRIGERATOR WHIRLPOOL WRX735SDHZ00 Water valve and electronics are causing icemaker to over fill and make ice stick together. Icemaker was already replaced and adjusted for less water on last visit. Replaced parts listed to correct problems. ICE MACHINE WHIRLPOOL KUIX305EWH0 Customer said that Icethickness is okay now after I changed the thermistor pump harness. PLEASE REMOVE CONSSESION FOR PARTS. DISHWASHER WHIRLPOOL WDT730PAHZ0 Inspected unit found units control display heat dry not working had to unplug the harness to control panel and replug in and now all the lights work on the panel unit now checks ok and all functions test good in test mode. units working great now after control panel fixed. REFRIGERATOR KITCHENAID KBSD608ESS01 Inspected unit found units leds not working inside FF section one was completely out and the rest dim. bottom left in fridge was removed and found too much foam inside pushing on mullex and wire was not connected. reconnected and re installed led in side cabinet and now all lights are working unit now checks ok.
REFRIGERATOR WHIRLPOOL WRS555SIHZ00 "inspected unit found units ice maker had over filled, and iced over jamming it up. had ot remove all the excess ice now it is running ok in test mode. ice maker cycles and it fills with correct amount of water now unit now checks ok."
COOKTOP KITCHENAID KCED606GBL00 Inspected unit found the knob that control the fan speeds internal metal peice was not sitting in correctly and slipping on the shaft of switch. installed in in correctly and now switch is working correctly. unit now checks ok.
DRYER WHIRLPOOL MEDX655DW1 Inspecred unit found units pully comming out of position and belt fell off unit. had to re install the pully correctly and now it is on tight and belt is on drum correctly and units sounds checks ok.
DISHWASHER WHIRLPOOL WDT750SAHZ0 inspected unit found units door was cockeyed completely and was hitting the right side of the cabinet. had to re align the legs underneath and lock the feet down left leg was not even down on the ground. after adjusting legs and unit now the door closes evenly and is not cockeyed unit now checks ok.
COOKTOP-GAS JENN-AIR CVG4380P 2 out of 3 ignigtors are defective. Opening does not line up with flat spot on bottom of ignitor. Replaced defective ignitor. Reassemble. Checked okay. REFRIGERATOR FD KITCHENAID KRMF606ESS00 "Inspected unit Cust advised unit has not made ice for 5 days. checked in test mode and Ice maker has no errors on test 56 reads e0 which means everything with ice maker is good. tested motor and ice maker motor rotates then checked water valve, and ice maker valve is working water is getting to the ice maker. reset controls at the breaker. advised if unit is still not making ice to call back. 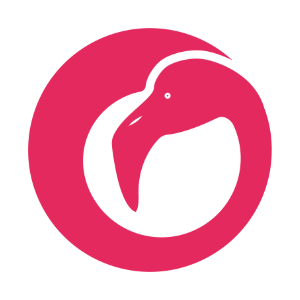 as of now units testing ok in diagnostics mode. svc call only today." REFRIGERATOR KITCHENAID KRFC300ESS01 Replaced rusted FZR door. Installed nameplate. REFRIGERATOR WHIRLPOOL KSSC48QTS02 "Inspected unit found units wiring inside freezer door is broken, and the door assembly is no longer available. Cannot repair or replace door since it is not longer available for order. W10157905 part number is not longer available." WASHER MAYTAG MVWC416FW1 Installed new agitator. Customer provided part. REFRIGERATOR WHIRLPOOL WRX735SDHZ01 inspected unit found units door switch was not being activated when door closing had to adjust door and now door switch is activated each time. since door switch wasnt being pushed in they could not get ice out. now the door switch is being pushed in all the way and ice dispenser is working. unit now checks ok.
REFRIGERATOR WHIRLPOOL GD5RVAXVY01 Inspectred unit found units ice bucket completely frozen over had to remove bucket and remove all the ice from the bucket and now it is dispensing ice. unit now checks ok.
REFRIGERATOR WHIRLPOOL WRT311FZDT01 "Cust advised when they installed the unit they gave her the wrong one because doors swing the wrong way. they asked if we can reverse doors. called trade partner they said this will not be covered due to install issue. advised Cust must contact the dealer. ; (created new UIS, deleted prior attachment to UisID 398122)"
REFRIGERATOR KITCHENAID KRFC604FSS00 Inspected unit had to un install and re install the filter correctly as it was causing a leak not in all the way. unit now checks ok and showed Customer how to install correctly. REFRIGERATOR WHIRLPOOL ED5KVEXVQ00 Inspected unit Customer just got a new filter unit getting ice but not water. Cust may have bad filter water not comming out. Cust will get a new filter. svc call only today. .
WASHER MAYTAG MVWB765FC3 "F3-E2 , F8-E1 , F0-E3 . Cold water valve clogged. ; ordrng 1 W11165546 (VAL)"
REFRIGERATOR JENN-AIR JFFCC72EFS00 "Unit has clumped ice present in storage bucket. Ran test 31, average icebox temp is 0 degrees for last 6 hours. Max temp in step 26 is 32 degrees. Icebox thermistor passes. Service test 120 cycled icemaker properly. Test 97 filled icemaker properly with no drips or leaks. No air leak present around ice door gasket or at ice chute door. Ice box fan runs smooth and strong. Unit passes all tests. All updates and parts verified correct from prior visits. Called tech line to document case. No further recommendations can be made for further repair. Customer being provided with file number and will be contacting customer service, as she is not satisfied with appliance after multiple attempts at correcting issue. SR7724562524"
REFRIGERATOR WHIRLPOOL GS6SHEXNS0 Inspected unit found units ice maker not rotating and also emmitter eyes not responding. Cost repair not cost effective.